Remember Lydia's statement recently? She looked outside after asking "Do it be day out?" and said, "Oh, it be a little bit day and a little bit night." A few people wondered if there was a deeper theological meaning, if she was possibly revealing her unique and advanced understanding of the injustice and imbalance in our world at age four. Yes. Yes of course she was. Obviously. Our morning began with a call from from Rose Marie saying she was on her way to the Maternity Center. 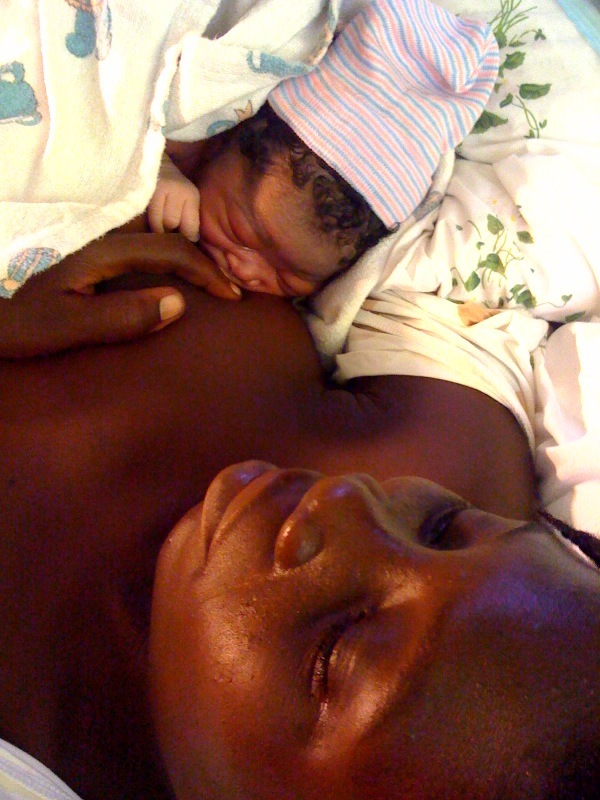 She gave birth less than an hour after her arrival time. Day-time births are fabulous. I dare say we celebrate when phone calls come at 8am rather than 10pm. It was a precious sight to witness and assist as a beautiful little girl entered the world this morning, we're grateful to report that both Mom and baby are resting in the postpartum area tonight. While Rose Marie was busy delivering at lightening speed this morning, Roselene (in pink) came in to ask for help with her ongoing struggles. Roselene gave birth at home and lost a lot of blood. Many moms hemorrhage; it is quite common with a poorer population as they are often times anemic. The beauty of delivering at Heartline is that there are simple things we can do to reduce and stop the bleeding. Unfortunately Roslene is suffering 9 days after the birth of her daughter because she really needed (still needs) a transfusion. We brought her last Tuesday to get a transfusion. She was admitted with a 5.5 hemoglobin and we were told a transfusion would be done. 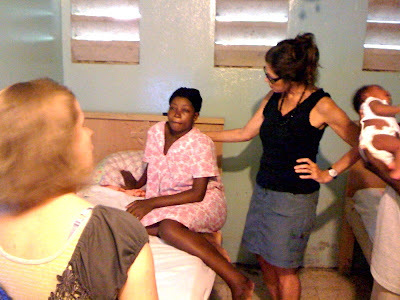 Thursday we heard from Roselene that the hospital let her go without giving blood. Today she arrived with all sorts of scary things going on. After making some phone calls for second opinions Melissa explained to Roselene and her husband that we wanted to take them again to attempt to get blood. She explained that Roselene is at risk for heart failure or permanent heart damage. She explained how unpredictable the recovery will be without a much-needed transfusion. She begged and pleaded. She explained the possible outcomes of not getting blood. The husband refused due to his fear of the blood supply here. He said they'd go home and eat and drink a lot of juice. These sorts of situations are crazy-frustrating because the system is so broken that people don't trust it or have hope of getting quality care. They'd rather take their chances at home than fight to get care at the government or private hospitals. They have valid reasons to believe that they won't get help or that the help they get will be so cruddy that no help seems like a good idea. We're praying that this decision doesn't cost a new little baby girl her chance at knowing her mother. And so, you see, it be a little bit day and a little bit night.